What happens if we shine light on a metal? It will reflect it. What happens if we shine light on glass? It will go through it, or in another words, the glass will transmit it. What happens if we shine light on soot (e.g. ignite)? It will absorb it all; it will not reflect it or transmit it. As a result our eye will see a black color. A body that absorbs all the radiation it receives (does not transmit it or reflect it) is called a black body. This is a perfect absorber. The black body will absorb radiation and this will interact with its structure. An equilibrium will be established and it will emit radiation. How much, what kind and what is this going to depend on? Black body electromagnetic wave "reception-emission" ("incidence-reflection") modelled as blowing-in-a-bottle vibrational/sound wave "in and out"
Max Planck gives us the answers about the "how much" and "what kind". How do you model a soot black body that has radiation coming in and getting out? Similar to a previously cited vibration/sound wave system, blowing air in a bottle, which has vibrational energy coming in and getting out. Let us repeat what was written previously on this site. Consider a copper cube that we coat inside with lamp-black (a pigment made of soot). We create a very small hole and we shine radiation through it. Incoming/incident radiation waves will fall onto the walls and then will be reflected; the waves will actually undergo multiple reflections and will be absorbed. In the mean time new waves are coming in. Incoming waves will criss-cross the reflected ones and a standing wave pattern will be created. This is similar to what we saw with the mechanical standing waves previously (string, tube-pipe-air column) and the harmonics. An equilibrium will be established and radiation will be emitted. But which is the elementary emitting system? Max Planck considers the charged particles that move relative to each other like springs. "For the elementary emitting system, Planck chose “a single oscillator at rest, consisting of two poles charged with equal quantities of electricity of opposite sign which are movable relative to each other. . . . The state of the oscillator is completely determined by its moment f(t), that is, by the product of the electric charges of the poles . . . [divided by] the distance between the poles, and by its differential quotient with regard to the time.” "
Next one has to calculate the modes of vibration. This can be translated to the problem of how many standing waves you can fit in the cube. Some geometrical considerations are implicated. Here is Planck's law as mentioned in wikipedia. "Planck's law describes the electromagnetic radiation emitted by a black body in thermal equilibrium at a definite temperature." where kB the Boltzmann constant, h the Planck constant, and c thespeed of light in the medium, whether material or vacuum." 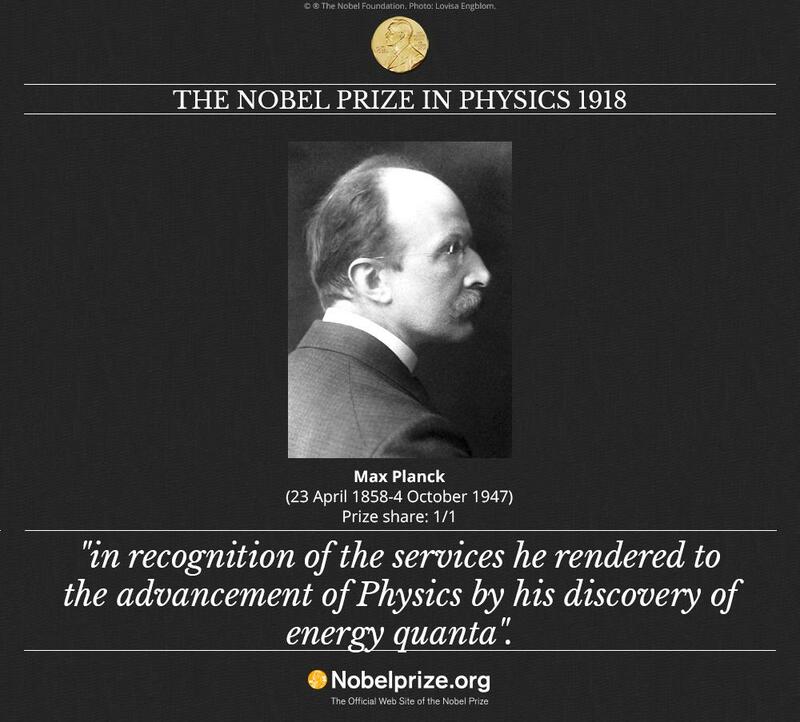 For his derivation Planck assumed that a black body emits radiation in energy quanta. As mentioned a black body radiation depends only on its temperature. Here is the graphical representation of the how much and what kind of radiation it emits. What is the radiation emitted by a body with a temperature of 6000K like the sun? The relevant figure provides the answer. We observe that a most significant portion is found in the 400-700nm. This is the electromagnetic radiation that our eye can perceive (visible range). What is the radiation emitted by a body that is going red because of heating? Our eyes see 700nm as red. What is the radiation emitted by the human body at 37 Celsius or 310K? A most significant portion is around 10000nm or 10μm. It starts from around 3000nm far beyond the visible spectrum whose upper limit is 700nm or red and this is why we do not see the radiation we emit. The figure shows that it goes beyond 30000 nm. The range between 700nm to 1mm 1.000.000nm (1mm) is termed infrared. The take home message would be that the human body model modelled as a black body emits electromagnetic radiation at infrared with a 10μm milestone.